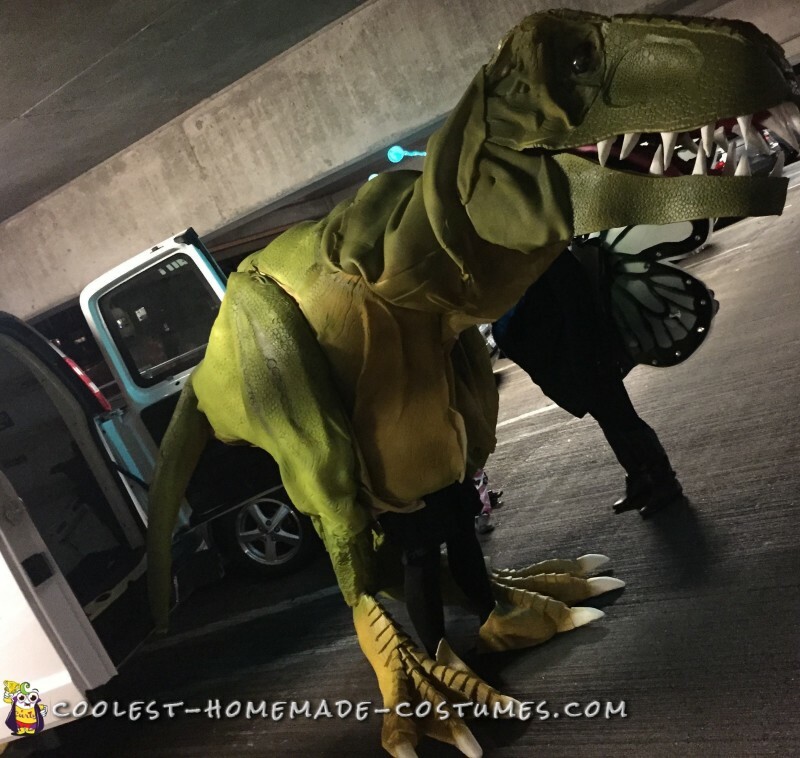 I built a 13′ long 7′ tall T-Rex costume after being inspired by classic Jurassic Park and a YouTube video where a dinosaur scares people coming elevators. It has an aluminum backpack and neck linkage system. That allows me to control the head (twist/nod/pan) with handlebars inside. Bike cables allow me to chomp the mouth. The entire body is fabricated from L200 foam with a “skin” layer of 1/4″ open cell foam. It took 12-16 hours to texture the entire body by hand with a dremel and soldering iron. 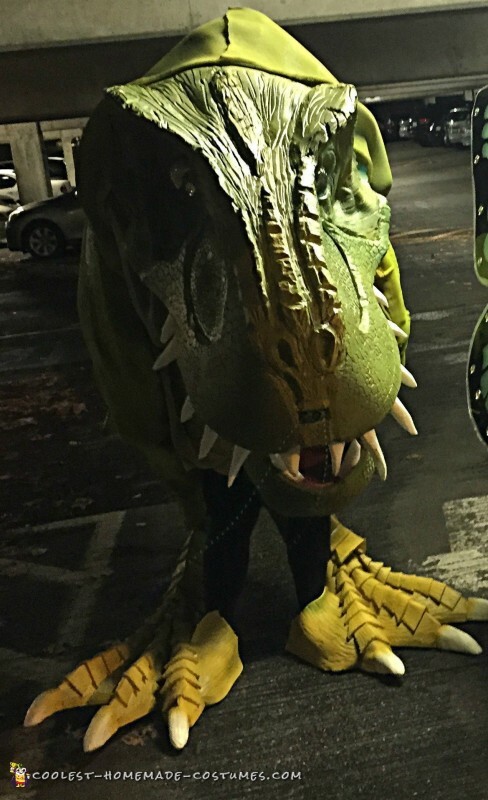 I took it out for a costume contest. It created chaos. Cars were stopping in traffic with people jumping out to take photos. People we screaming, kissing the face and one guy nearly tackled me. I mounted a backup camera in the nose that connected to a flat screen inside so it was great seeing everyone’s reaction in a costume with no view holes (thank goodness for no battery failure). 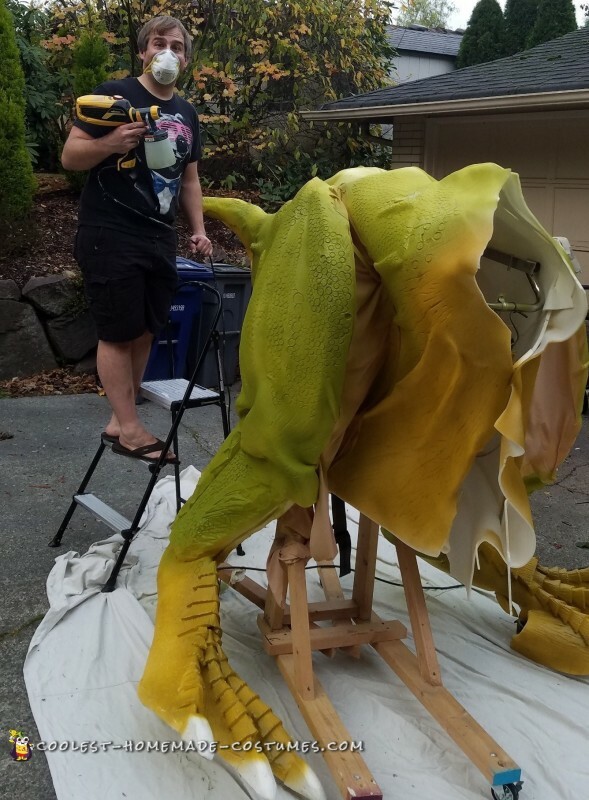 I did get a few comments like “oh wait that’s not a statue…there is a PERSON inside it”…and “Oh wait…there is only one set of legs….why are they shaking so bad”? My hips and back are crippled after 5 hours in the suit so pneumatic struts in the legs may be needed.